The 2018 Social Club is pleased to present the departmental Christmas Party. 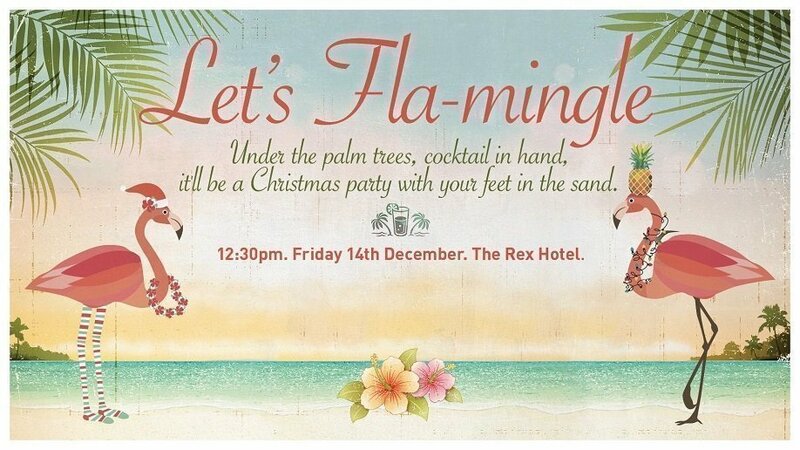 The Christmas Party will be held on Friday 14 December 2018 at the Canberra Rex Hotel. It will be a seated, banquet style celebration with 10 persons per table, worth $125 per head and offered at a substantial discount. The theme is “Let’s Flamingle”. We encourage you to dress with a touch of the tropics - think St Barts, the Florida Keys and Belize. This year, the Christmas Party will also be raising funds for Rural and Remote Mental Health, a not-for-profit organisation delivering mental health programs and services to people living and working in rural and remote Australia. For more information, visit http://www.rrmh.com.au/. Please show your support by buying a ticket in our Christmas Charity Mega Raffle. Winners will be drawn at the Christmas Party, and as in past years there is a fantastic selection of prizes to be won! Once you have purchased your tickets, please form tables of 10. One member of your table should then email socialclub@infrastructure.gov.au by 30 November 2018 with the list of attendees. Alternatively, you may use the drop down boxes to indicate your division and we will place you on a table. We cannot guarantee every request but we will try our hardest to accommodate you.